Chances are you already know International Military Antiques. Their products can be seen in big-budget productions like Saving Private Ryan, Band of Brothers and Dunkirk. 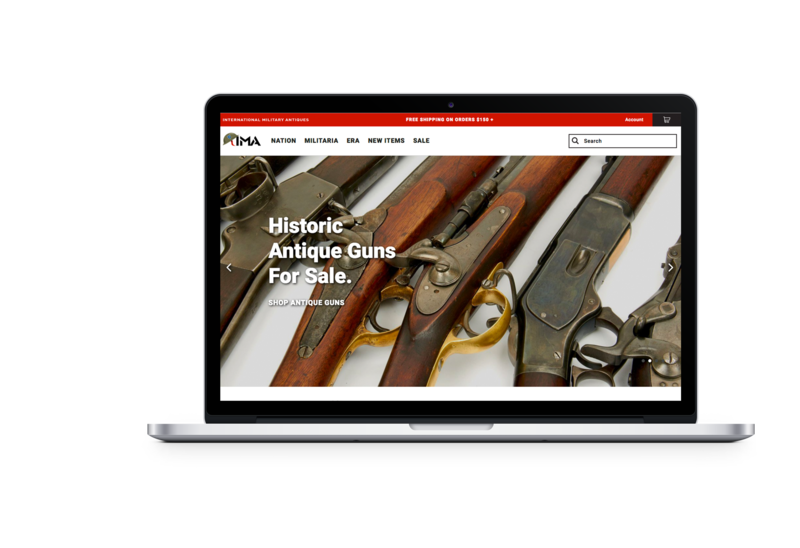 A Corra client since 2010, IMA has become the world leader in military collectibles and military antiques. 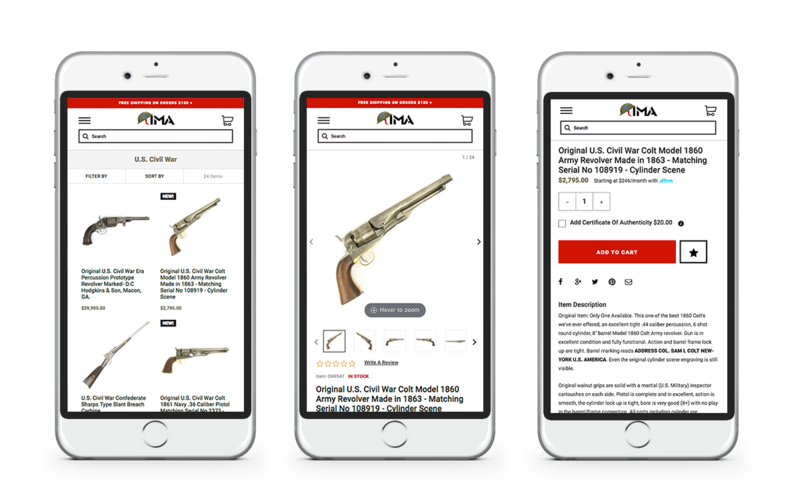 After many years of online growth, the team at IMA decided to move their ecommerce operation onto Shopify Plus. Selecting the platform for its ease of use and speed to market, IMA trusted Corra to handle every aspect of this complex migration. We have worked with Corra since 2011, and I feel more like a Corran than a client. We initially chose Corra because they were leaders in the marketplace, and they have only gotten better. The Corra team was excited to lead the charge, building a brand new ecommerce experience for IMA on Shopify Plus. Our designers created a custom visual design for IMA, incorporating key branding elements while refreshing the look and feel for improved usability. The development team performed the significant task of migrating data from one platform to another. Corra also leveraged many third-party vendors from our partner network to ensure IMA had the functionality they needed. 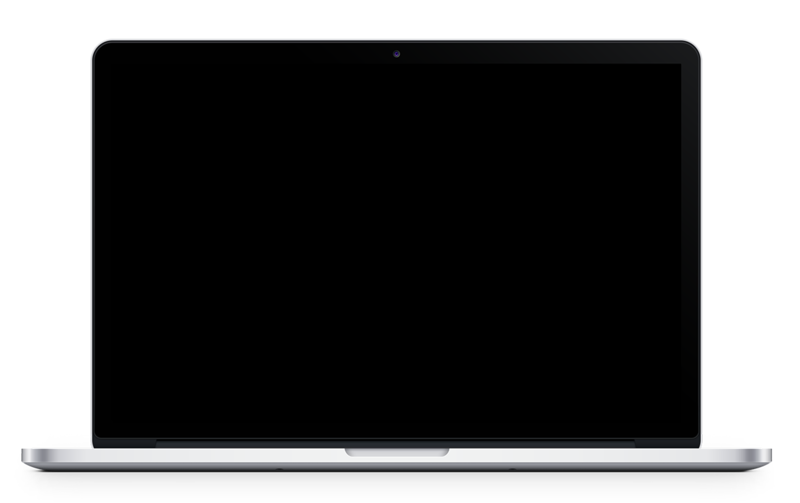 Ultimately, the Corra team is proud to showcase this site as our first Shopify Plus project.